Older cats are not as good at climbing as they used to be when they were young. This is a normal thing – after all, older humans see these changes too. This is why you need to help them feel more comfortable with their new lifestyle. For example, providing easier access to the things they love, enjoy, and need can make a big difference in their lives and daily health. This means putting their favorite things on the floor or lower shelves. Their food, water, and litter box should also be places where they can easily reach it. Install litter boxes on every floor and make sure that it has low sides so they can climb into it with ease. Make their bed comfortable and place it somewhere warm but not too hot. Create or install steps to their favorite places to help them climb. Groom them gently – older cats need and enjoy more hands-on help. Older cats need more care. You should schedule veterinary appointments every six months if your cat has had issues in the past. If your cat is completely healthy, yearly exams will suffice. However, if you notice some changes in their behaviour, you should get an immediate exam. The yearly exams your older cat will have to get will include blood work and X-rays as well as some other tests to confirm their health. Smaller exams in between, when you feel appropriate might also be a good idea. Cats with poor eyesight tend to have trouble finding their way around during the night. You should install some nightlights to help them navigate the space. You should also keep their environment as familiar as possible. This would mean that you shouldn’t change the position of your furniture too often or move their litter box around. If your cat is blind, avoid picking them up suddenly and always call them before approaching to avoid startling them. If your cat is deaf, always approach them from the front and keep them inside your home. Many people think that a kitten might be just the thing older cats need to find their playful side again. But this is far from the truth for several reasons. A kitten climbing all over your older cat, bothering them and trying to play may actually deteriorate your cat’s health. People also tend to focus on the kitten more, and the older cat may end up ignored. With older cats requiring a bit more love and care, a kitten can complicate your aged cat’s life a bit too much. If you want to keep your cat happy, you should try to play with your cat – wave a stick or their favorite toy, take them for a walk inside your home, or something similar. Try these one at a time. Your older cat may not be as playful as they used to be, but you shouldn’t force them to play either. Keeping them active is important, but be mindful of how their behavior might naturally change with age. Cats love to have a calm, predictable life when they get older. They may need more emotional support or some alone time. At the same time, they will become more dependent on a relationship with you and they will love all of the attention you can offer. Keep in mind that these changes are hard on them too – no one likes to age and neither do cats. You might want to help them stick to normal routines. 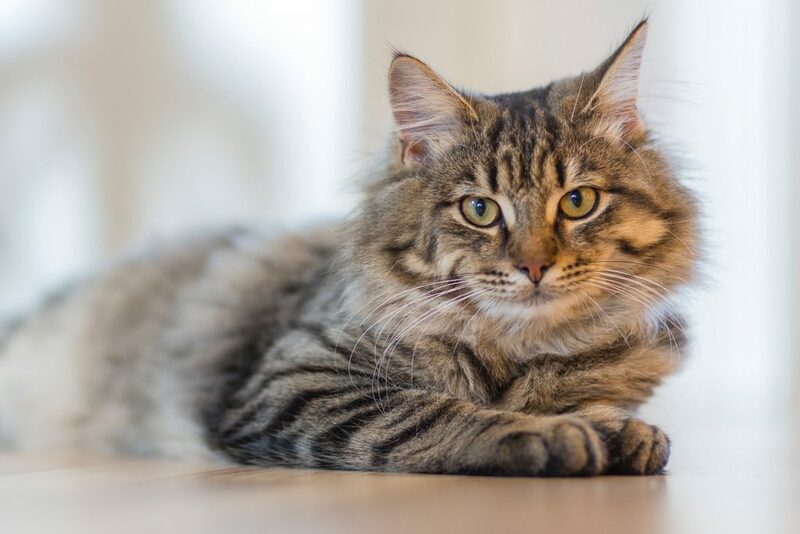 Cuddle with them, spend time with them – all of this extra love will help your cat deal with changes much better and it will help them age better and feel more secure.